What prevents many smokers from quitting – especially by cold turkey – are the nicotine withdrawal symptoms that follow. 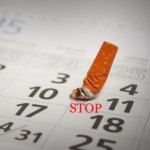 Although the period of suffering from smoking withdrawal symptoms is not necessarily long, and often just within a week, many would-be quitters take up smoking again because they can not resist the pain of withdrawal. 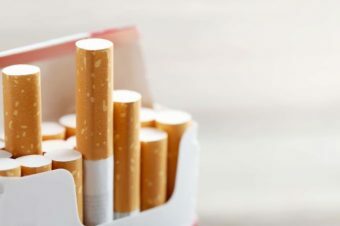 The secret to quitting smoking successfully can depend on how well you devise steps to endure and relieve withdrawal symptoms as opposed to plowing on forward. In this article we will introduce the type of withdrawal symptoms when quitting smoking, the period during which symptoms continue, and ingenuity to reduce the burden due to withdrawal symptoms and to make smoking a success. What are signs of nicotine withdrawal? Some quitters may also fall into a state of depression due to smoking cessation. We often hear the story that, “If you quit smoking, you get fat.” As we have noted in previous articles, there are simple ways to increase activity levels prior to quitting, which can help mitigate weight gain. However, a key point to keep in mind is that if you have been smoking for a few years or even a decade, you not only have a certain degree of nicotine dependence, but your smoking ritual has become a habit. 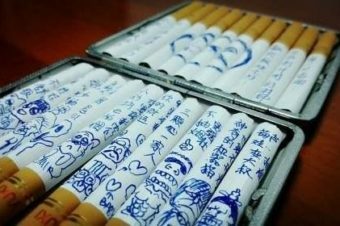 For this reason, it is easy for ex-smokers to have lonely-feeling mouths, especially in the beginning days of quitting. When many people experiences these symptoms of tobacco withdrawal, they find they cannot tolerate them and go back to smoking. Even if you are suffering from such symptoms, try not to be discouraged: it is said that symptoms will gradually improve by continuously cutting off nicotine. 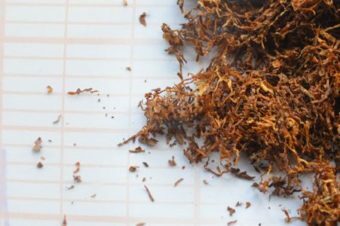 How long do withdrawal symptoms from smoking last? Fortunately, smoking withdrawal symptoms are transient and do not last for an extreme time. In fact, most people will reach their peak discomfort within 3 days after quitting smoking. Peak symptoms cause an intense desire to smoke again, as well as body sluggishness and insomnia. It is known that most withdrawal symptoms are improved in about 1 to 3 weeks. 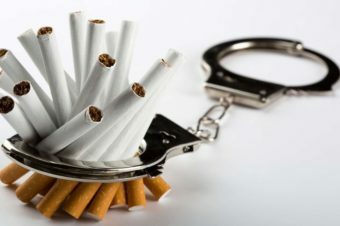 However, since the weight of withdrawal symptoms varies depending on your constitution, we recommend that instead of quitting alone, seek out quit smoking support with the help of a counselor, friend who’s quit, support group or online group that you can visit and help maintain your resolve to quit. In this way, you need not avoid smoking entirely by yourself and can receive free professional guidance. Also, know that when you are able to stay smoke-free for around 3 weeks, most of the nicotine in your body will have been discharged in one way or another. 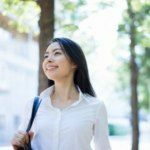 Knowing this nicotine withdrawal symptoms timeline what to expect can help you stay motivated. Keeping your smoke-free goal in mind can help you stay focused on quitting, even if things get a little tougher. 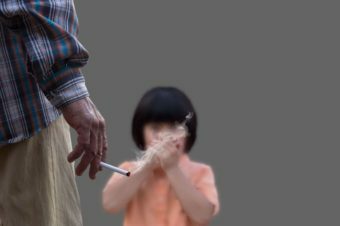 As mentioned before, a large percentage of people who try quitting smoking – especially cold turkey – without a clear quit plan in mind and without a realistic outlook on what can happen during quitting, will likely not tolerate the pain of withdrawal symptoms and will likely smoke again. As a smoker, it’s not your fault – it’s all due to the incredible addictive power of nicotine. Coping with nicotine withdrawal can come down to a few elements. Be realistic. Nicotine withdrawal is not fun at all. Stay focused on the reasons why you are deciding to quit. Writing these down and posting them somewhere you can see them every day may help you stay focused on the end goal even if/when things get tougher. Immediately after getting up, go to your kitchen or bathroom and drink a glass of water. Before bed, have a glass of water. Staying hydrated is important especially during the first three days. Consider what behavior patterns (“triggers”) you associate with smoking and look for ways to disrupt them. For instance, if you typically have a smoke after breakfast, change your behavior pattern: Get up immediately after breakfast, hand-wash the dishes and chew on mint gum instead. This can disrupt your typical routine as well as keep your mind somewhat distracted as well. Avoiding caffeine when quitting smoking is not necessarily important, but avoiding the triggers for smoking is important. If you usually have coffee or alcohol with cigarettes, having coffee alone can make you want to smoke and trigger cravings. If that’s the case, try avoiding caffeine and alcohol for the first few weeks while quitting. When you do resume coffee, take a little care in how you prepare it: as a smoker, your body would metabolize caffeine more quickly than it does after you quit. Stress may become big as well. Smaller things may push your buttons far more than they did before you were quitting. Breathing deeply can help you cope with stress, helping you relax more and stabilize your emotions. Getting a jog in, taking a longer walk, or hitting the gym can not only help decrease stress levels and help you forget about cigarettes, but can also help metabolize and remove nicotine from the body more quickly. Consider a support group – whether online, by telephone or app, or in person. It does help to have people listen to your situation who understand what you’re going through. Take strength from them when you need it. If you find you cannot relieve symptoms or are nervous about starting quitting, keep in mind that there are also treatment methods such as Rien Pipe that gradually reduce dependence on nicotine with minimal withdrawal symptoms. Withdrawal symptoms are very painful, peak within around 3 days and typically settle within around 3 weeks. Knowing what to expect and having a plan on how to cope with potential withdrawal symptoms – especially staying well-hydrated, exercising, and breathing deeply to control stress levels – can help you overcome the period of withdrawal. Although there are individual differences, withdrawal symptoms due to smoking may cause troubles in daily life, so you need to watch your withdrawal course carefully. To aid with this, quitting smoking during a time when you’re not extremely busy with work or family matters, may help keep stress levels in check and help make quitting easier. 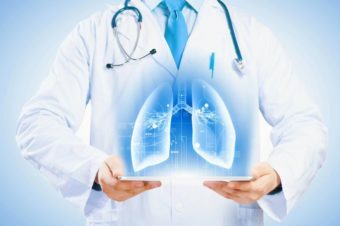 Smoking lungs: How long does it take for my lungs to recover from smoking?